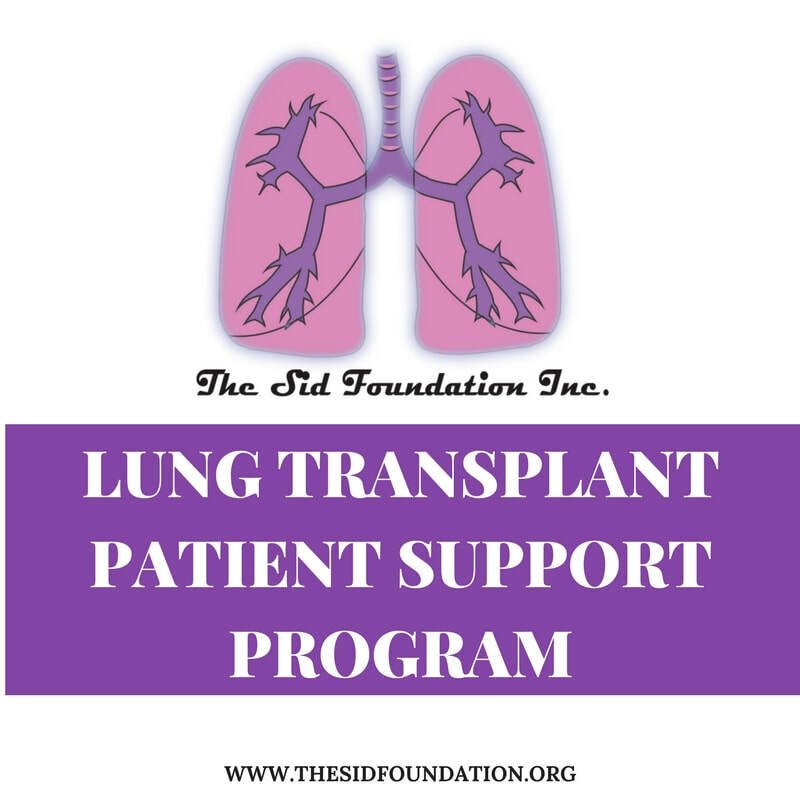 The Sid Foundation Lung Transplant Patient Support program is to help lung transplant patients find useful resources and financial assistance to improve their quality of life and increase their chance of survival. Lung Transplants have the lowest survival rate of all organ transplants. Only about 50% of lung transplant patients survive 5 years post-transplant. The mission of our program is to change these statistics and help lung transplant patients lead happier, healthier, and longer lives. This page will be constantly updated with the latest helpful resources for lung transplant patients. We have a Facebook page where lung transplant patients can talk to other lung transplant patients and share their experiences. We interview lung transplant patients and share their stories on our website and social media so you can learn from their journey. We hold fundraisers for lung transplant patients or potential lung transplant patients to assist them with medical bills. We provide care packages for lung transplant patients with essential items they will need once they leave the hospital. If you are a lung transplant patient who needs support, please email us at info@thesidfoundation.org. If you would like to volunteer with this program, please email us at info@thesidfoundation.org. We need volunteers all around the United States to make this program a success. If you would like to sponsor this program by providing us products for our patient care packages, please email us at info@thesidfoundation.org. Follow us on social media and sign up for our newsletter below to stay tuned as we develop this program. We want to thank all our donors and sponsors who have helped us continue to grow over the past three years. It is because of you that we are able to build this program. Thank you for your support!